Could This Be the Next Huge Leap in Public Transport? In August 2013, Elon Musk (the founder of Tesla and SpaceX) released a paper outlining his vision for an entirely new type of long-distance transportation. The Hyperloop, as he called it, would send pods full of cargo and people through near-vacuum tubes above or below ground, at speeds up to 700mph. That’s Los Angeles to San Francisco or New York to Washington DC in half an hour. It was a fantastic-sounding idea, but there were dozens of difficult questions to be answered before the concept had any chance of being reality. Now, a few years later, we take another look at the Hyperloop – how it might work, what progress has been made in building one, and what the future could hold for this transport idea that seems to come straight from a science fiction movie. As futuristic as the Hyperloop sounds, the concept behind it is relatively simple. By using sealed tubes and removing almost all the air pressure from them, friction levels are greatly reduced. Pods levitate on a cushion of air in the thin atmosphere inside the tubes, and as a result, are able to move much faster than traditional vehicles. To achieve the suggested, almost-supersonic speeds, the tubes will need to run in as straight a line as possible. This may mean that tunneling underground makes more sense than building dedicated tubes above it, at least outside a desert or other barely-populated area. Early suggestions, however, suggested running alongside the existing I-5 highway, mainly to avoid expensive battles over land use. In Musk’s original paper, he envisaged pods holding 28 people and their luggage, leaving every thirty seconds at peak times. Larger pods could hold a car, and prices for a trip between those two large Californian cities would be around $20. It’s much easier to design a system like this on paper than in the real world, of course, but if it comes to pass, the Hyperloop could revolutionize inter-city travel. Much faster than cars, buses or trains, and without all the hassle of the airport, it’s easy to imagine widespread adoption of the service. Day trips to cities several hundred miles away will become a realistic, affordable option. At the time, Musk said he was too busy with his other companies to build the Hyperloop himself, and encouraged others to take up the challenge. Several companies did just that – Hyperloop One, Hyperloop Transportation Technologies and Arrivo among them. There’s generally been more media hype than action since then, although test tracks have been built, and the concept has been proven, albeit at much lower speeds over much shorter distances. While most of the attention has been on US-based projects, it seems more likely that the first commercial Hyperloop could be overseas. There has been significant interest from countries as diverse as Slovakia, South Korea and the United Arab Emirates. Being able to travel from Bratislava to Budapest in ten minutes, or Abu Dhabi to Dubai in just a couple of minutes longer, sounds very appealing to the local governments. Things took another interesting turn in August 2017. Musk, apparently fed up with the slow progress and deciding he now did have some time to spare, announced plans to build his own underground Hyperloop between New York and DC. 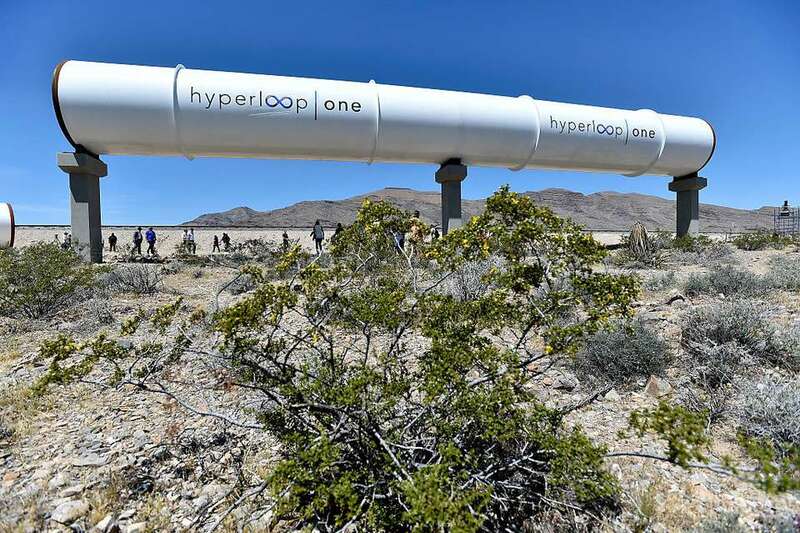 Bureaucratic hurdles are likely to be one of the biggest challenges of any long-distance Hyperloop in the United States, however, and the project doesn’t currently have written government approval. While technical progress has been relatively slow, Musk’s entry in the Hyperloop game is likely to bring more money and attention to the idea, and potentially speed up slow-moving government departments along with it. In interviews, the founders of more than one of the Hyperloop companies have thrown out timeframes around 2021 as the start date for commercial activity – at least somewhere in the world. That’s ambitious, but if the engineering and technology prove sound over long distances, it’s not out of the question with enough private and governmental support. The next couple of years will be crucial, as companies move from short test tracks to much longer Hyperloop trials, and from there to the real world. Watch this space! Want to Visit April the Giraffe in Person? Here's How.